The Healthbeds Signature Natural Firm 2000 Pocket is an excellent choice for those of us who loves a firm yet comfortable and supportive mattress. 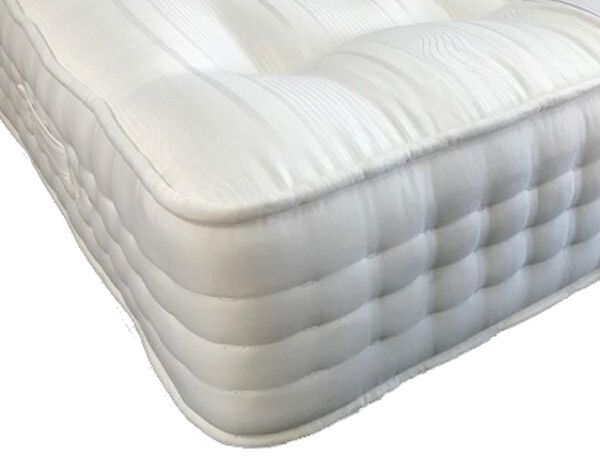 This sumptously firm 2000 mattress comprises of layers of Wool, Silk and cashmere filling on both sides of this fully turnable mattress along with a Anti dustmite protection fabric . This fully turnable mattress is covered in a soft touch but strong damask fabric and has flag stitched handles to help in rotating this 5 year guarantee mattress.